THE B-MOVIE NEWS VAULT: STOCK YOUR VAULT: New DVDs & Blu-rays for 07/17/2018! STOCK YOUR VAULT: New DVDs & Blu-rays for 07/17/2018! July is halfway over Vault Dwellers! And though this week will serve as a bit of a breather before Scream Factory unloads a heavy dose of John Carpenter next week, as always there are some titles of interest for us collectors. The long-touted Collector's Edition of TERMINATOR 2: JUDGMENT DAY with "EndoArm" is finally available, though it is relatively pricey. (Ack! It's nearly $200!) It's Limited to 6,000 units, and each one apparently has James Cameron's signature on the base! Massacre Video's Limited Edition ENTER THE DEVIL premieres on Blu-ray, Scream Factory released IFC Midnight's THE HOUSEMAID to DVD & Blu-ray, and Warner Archive Collection gives THE LIFE AND TIMES OF JUDGE ROY BEAN its Blu-ray debut! 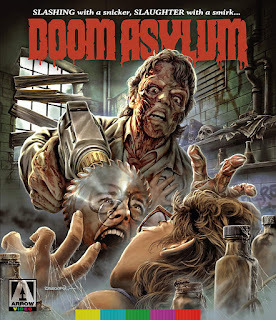 Arrow Video tops the competition this week with two stellar Special Edition Blu-rays for Sergio Martino's THE CASE OF THE SCORPION'S TAIL and Richard Friedman's once forgotten DOOM ASYLUM! Both releases boast 2K transfers, and loads of new extras! The rest of this week's release slate is rounded out by some bargain-priced DVDs (and collections), as well as some new Hollywood fare, including RAMPAGE and Blumhouse's TRUTH OR DARE. 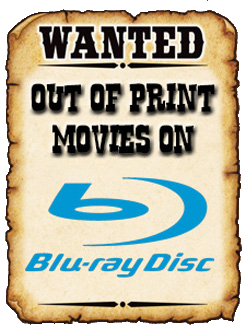 To see the entire list of this week's new DVDs & Blu-rays, scroll on down! NEW DVD TITLES FROM "FILMS AROUND THE WORLD"
Contains: 10,000 Days, Metal Tornado, 10.0 Earthquake, and Seattle Superstorm. Contains: Spliced, Frozen, Greystone Park, and John Carpenter's The Ward. Contains: Sweetwater, Echoes of War, Gunless, and Autumn Blood.